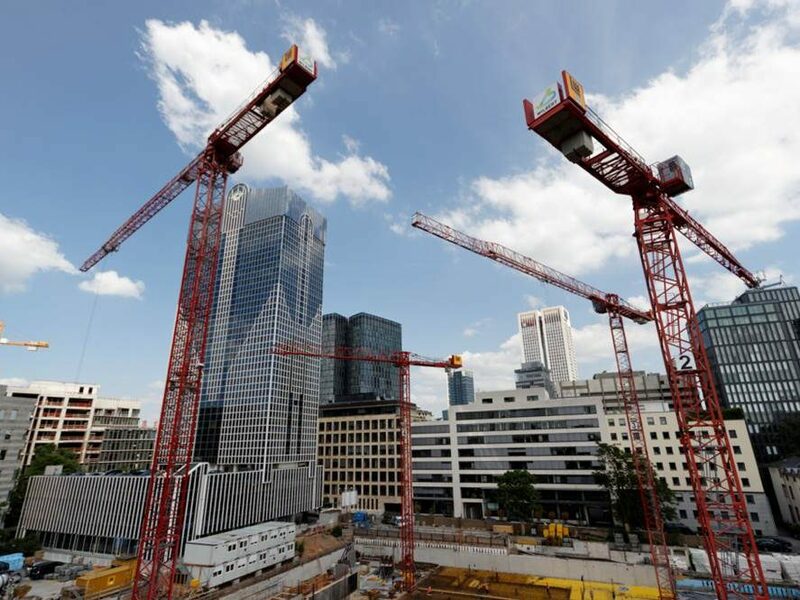 On the former Deutsche Bank site, the old buildings had to make room for a building complex of four high-rise towers, the Quartier Four, that is planned to be completed in 2023. 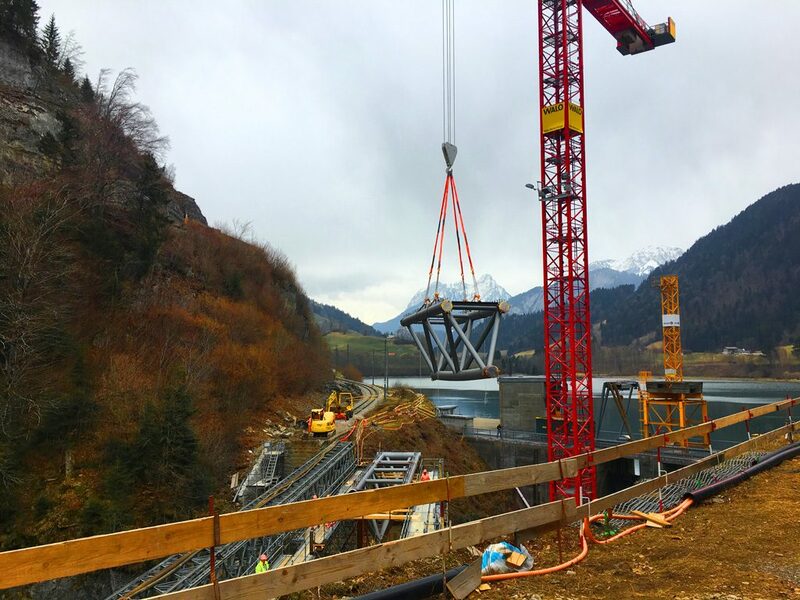 Reconstruction of the Pont du Lanciau: demanding work due to the cramped, hilly terrain and a tandem lift with a mobile crane. 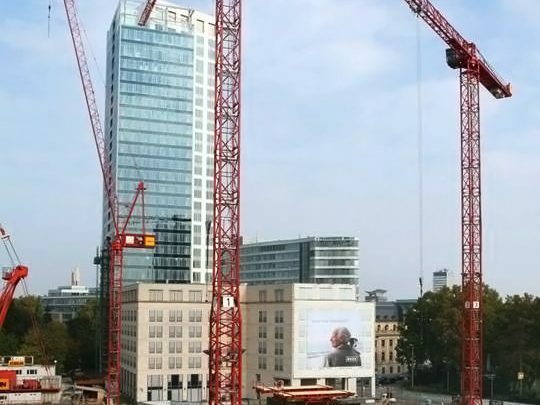 There's a webcam where you can live view the construction of Germany's tallest residential tower and our two WT 420 e.tronic on site. 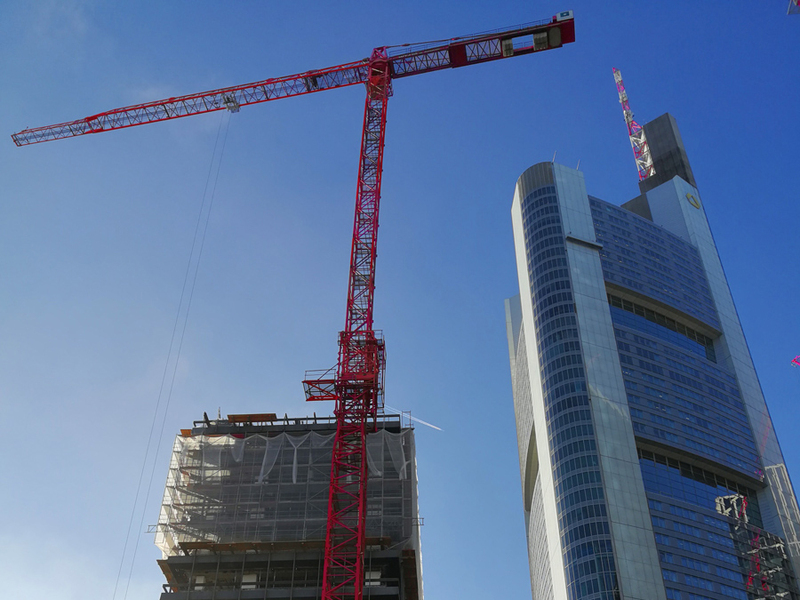 The construction progress of the Marienturm, a new office tower in Frankfurt's banking district, can be viewed live via webcam. 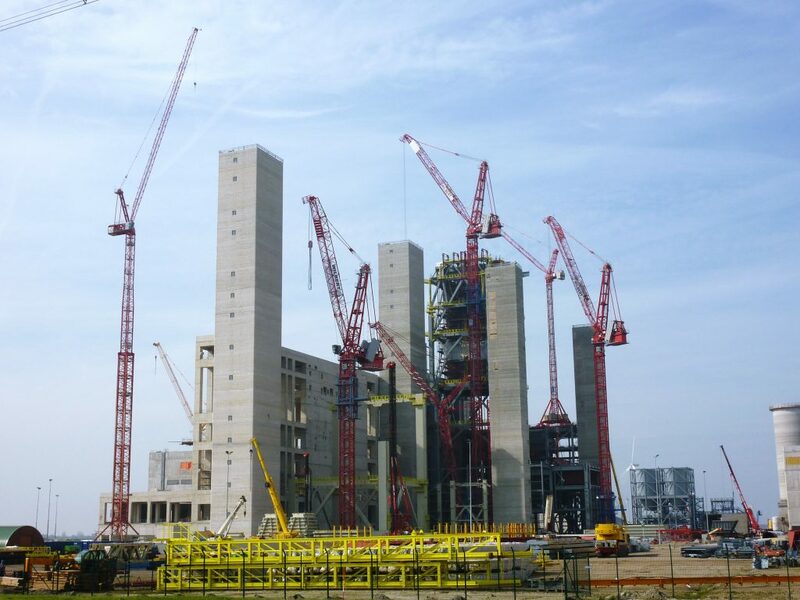 Two WT 335L e.tronic cranes from our rental fleet are involved in this project. 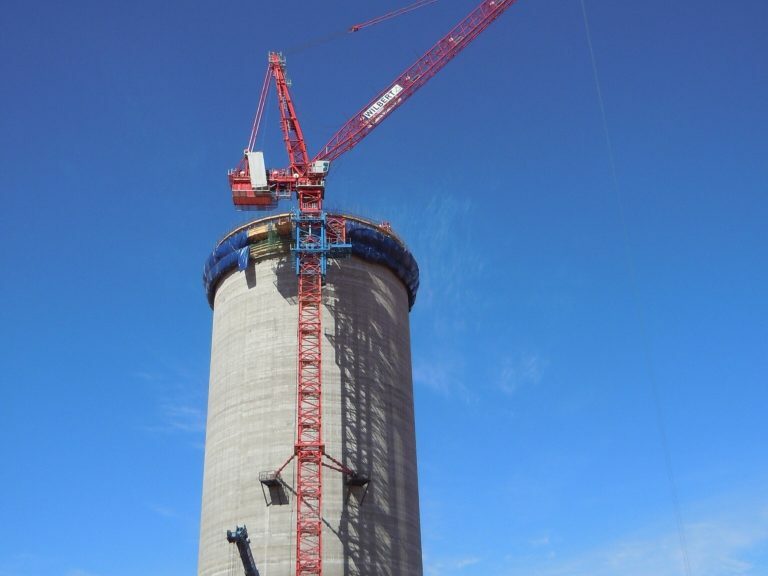 The steel components of the absorber have a maximum weight of 90 t and were lifted to the top of the 240 m solar tower by our WT 2405L e.tronic. HWR’s new campus was built on an area of approx. 40,000 m² between September 2012 and December 2015. Four WILBERT trolley cranes were used: 3× WT 200 e.tronic and 1× WT 320 e.tronic. 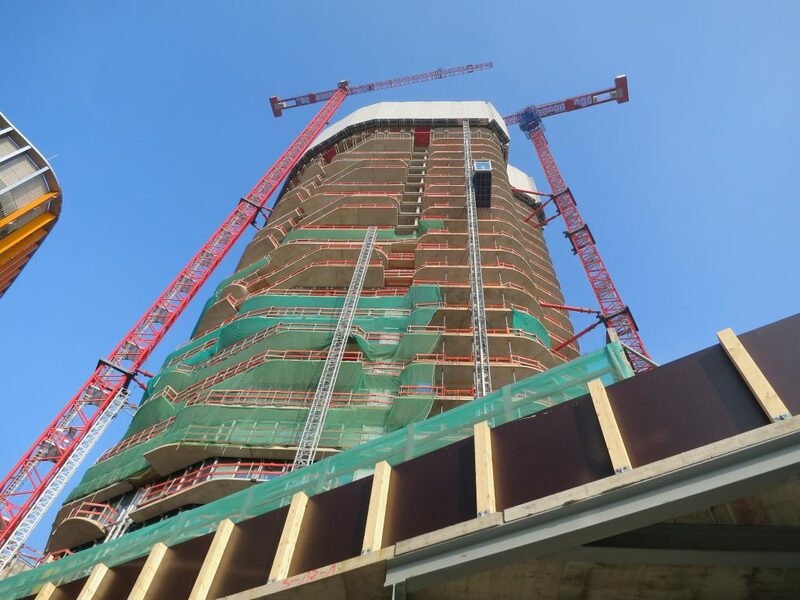 Here, the task of the WT 2405L e.tronic was the chimney modernisation in a densely built-up area: The existing filters had to be replaced by new, better performing filters at dizzying heights. 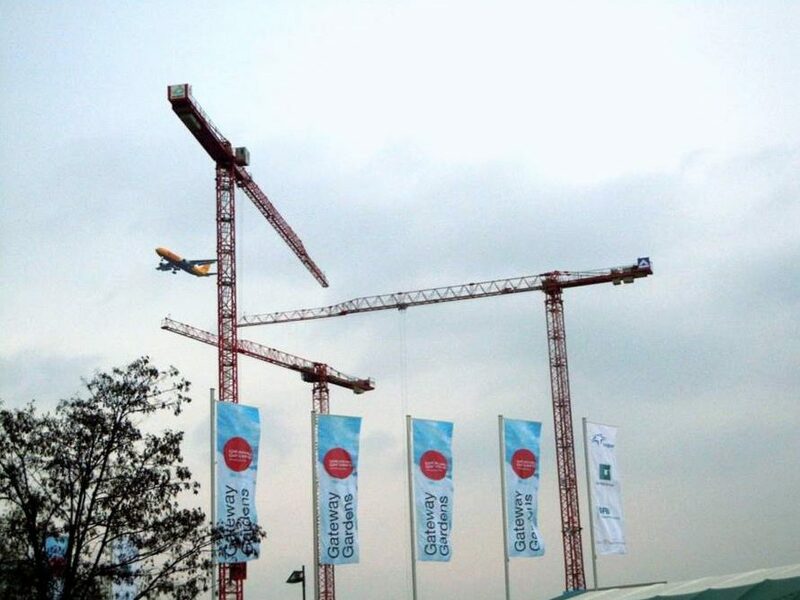 The crane was assembled at a low height and then erected by crawling for this purpose. 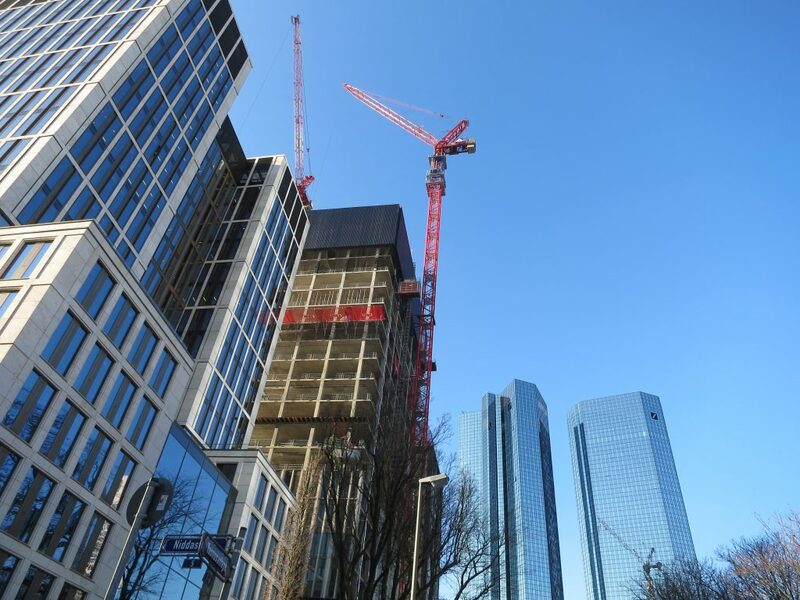 A residential complex comprising 126 luxury apartments and an underground garage with 220 parking spaces was built in Feuerbachstraße in Frankfurt. Construction was completed in 2015. 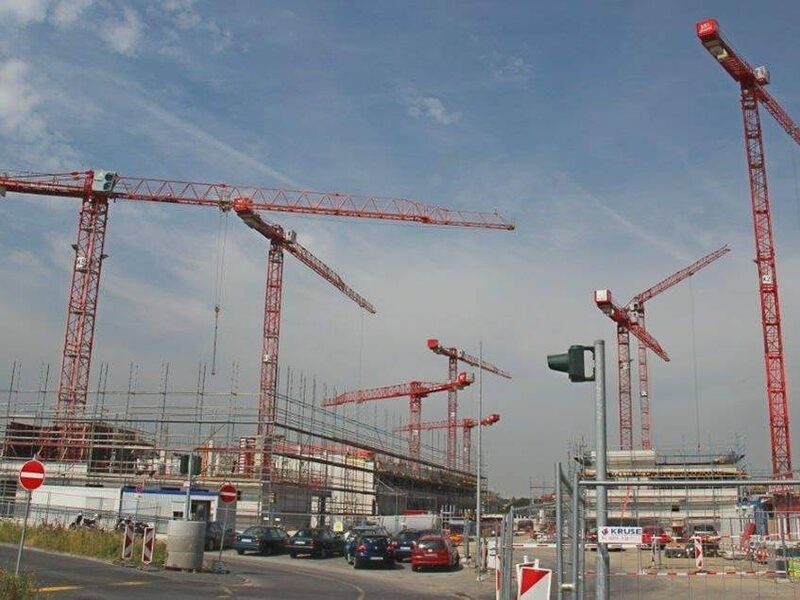 Four WILBERT cranes were used: 2× WT 150 e.tronics and 2× WT 200 e.tronics. The 170m skyscraper was completed in spring 2016 and comprises an impressive 62,500 m² of usable space on 42 storeys. During the construction phase, two WT 300 e.tronics and one WT 205L e.tronic were used. 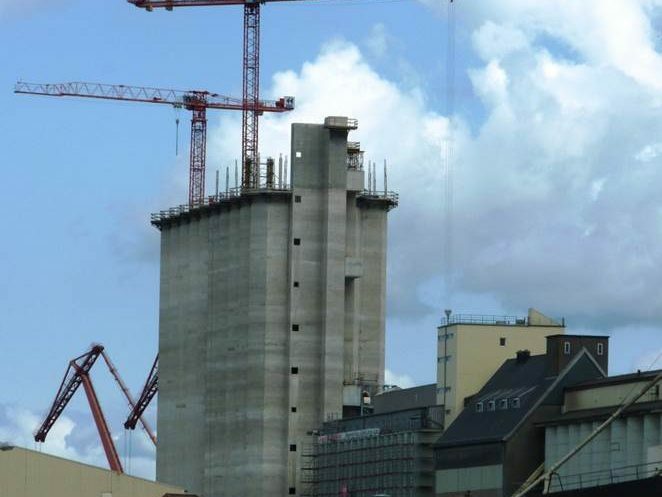 38 honeycomb-shaped silos in total measuring 61 m in length, 22 m in width and 83 m in height were erected in the port of Brake, Germany, by a WT 200 e.tronic and a WT 300 e.tronic using the slip-form method. At 66 m and 16 storeys, Alpha Rotex is the tallest building right at the airport. A WT 300 e.tronic, a WT 200 e.tronic and a WT 180 were involved. A height limit had to be observed due to the building’s proximity to the airport. 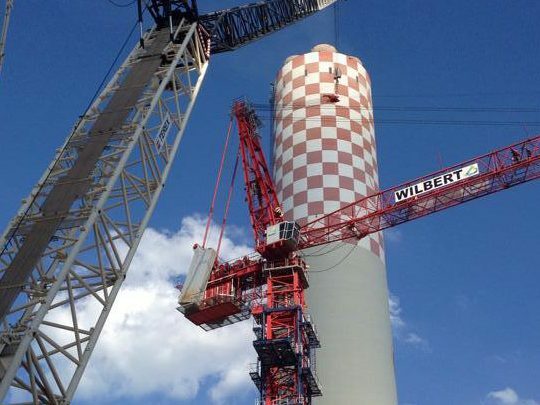 A total of nine WILBERT luffing jib cranes were used in building the power plant that has two ultra-critical steam generators and a total output of 1,560 MW: 1× WT 335L e.tronic, 2× WT 905L e.tronics and 6× WT 2405L e.tronics. In this case, the particular challenge was in planning for the D50 wind region. The thermal power plant Šoštanj was ecologically optimized by the construction of a new block with the newest technology that planned to replace the others step by step. 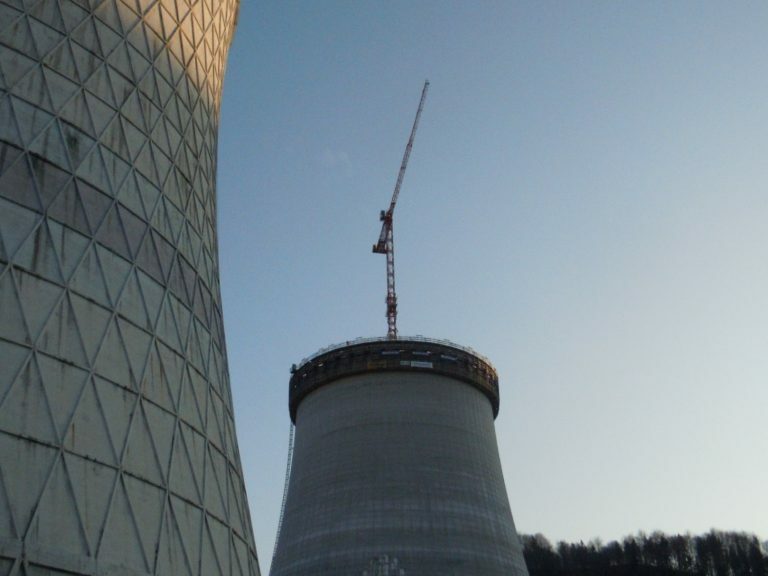 The corresponding cooling tower was errected by a WT 300 e.tronic in our special version. 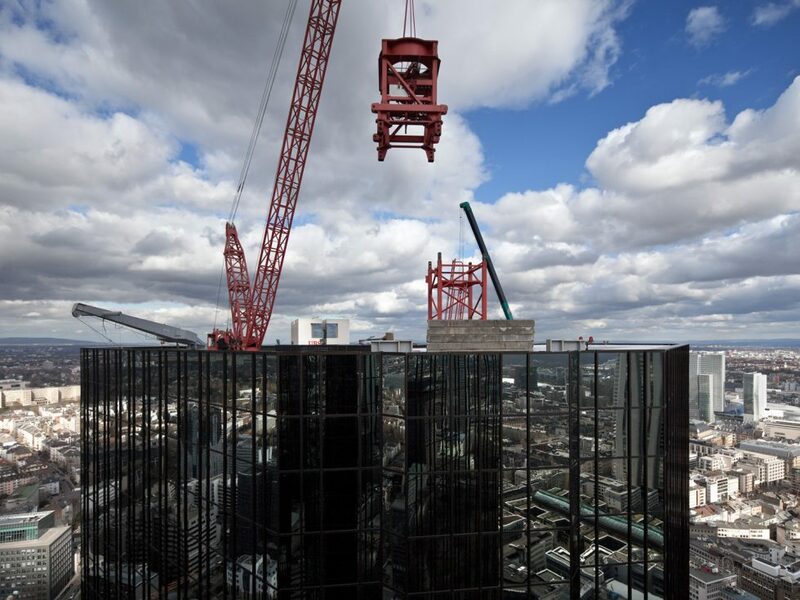 The WT 200 e.tronic was used to replace the suspended aluminium and glass façade. It was mounted to the roof of one of the twin towers with a specially made steel structure.